SnapMD, a full-service telehealth technology innovator and solutions provider, today announced that its Virtual Care Management (VCM) telemedicine platform has expanded its language offerings to include support for Spanish-speaking patients. As a telehealth enterprise-software leader, the new multi-language capabilities further extend virtual care access for patients and enhances the care options that healthcare providers can offer to their patient populations. SnapMD’s VCM telemedicine platform is designed specifically for healthcare providers to easily integrate the technology into existing operating models. The company continues to innovate with new functionalities to meet the ever-expanding needs of diverse patient populations while maintaining ease of use for both providers and patients. By extending support for Spanish-language needs, patients gain increased access to care from the comfort of their own home. When using the VCM platform, patients will now have access to user-friendly Spanish support throughout the patient portal. By simply clicking the flag icon, the language selector will open so that patients can easily choose their preferred language thus optimizing their virtual care experience. As an enterprise-software telemedicine platform that reaches across the care continuum, multi-language support is imperative for connecting patients to their providers. 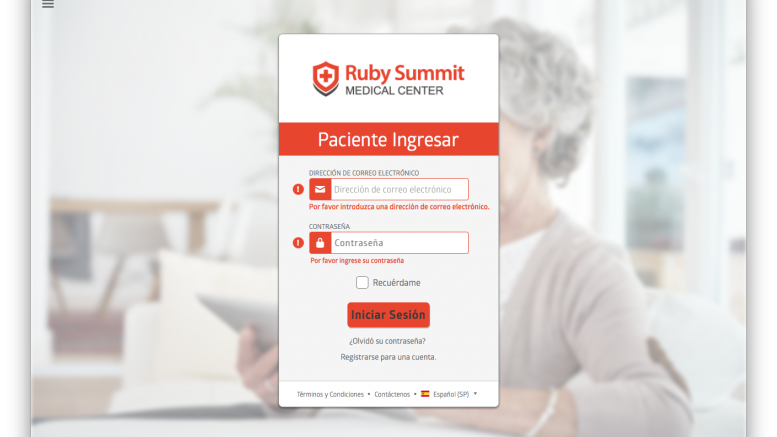 The new Spanish-language capability works seamlessly with the existing system architecture to operate virtual point-of-care services in the VCM’s single suite of software. With this new technology infrastructure in place, SnapMD will continue to innovate with the rollout of additional languages in the coming year.